Born April 29th in Guadalajara, Jalisco, Mexico. He has said that his grandmother, the local medicine woman, didn't let him go to school and instead taught him the things she knew herself. At ten years of age he won his first accolade for drawings. It is then that he started working with Jorge Martinez, artist who collaborated with Jose Clemente Orozco. In 1957 he started at the Escuela de Artes y Letras de Guadalajara and then his journeys into the rich jungles of Jalisco and Nayarit where he made a collection of landscapes. In 1961 he starts at the Escuela Nacional de Artes Plasticas with Antonio Rodriguez Luna. It is during these years in Mexico City that he is rewarded with several prizes such as Nuevos Valores (1963). 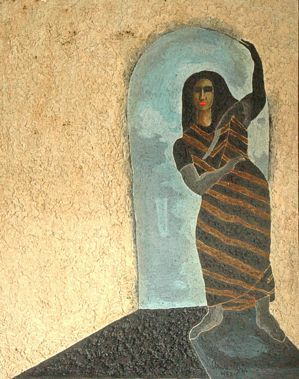 In 1964 this great painter is inducted into the Salon de la Plastica Mexicana. In the late 60's he is recognized as one of the architects of the Magic Realism style that was to take over the Mexican School of painting until the turn of the century. 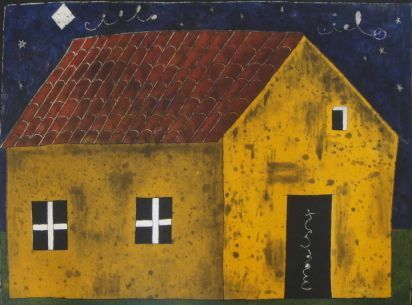 His first solo show was at the Misrachi Gallery in Mexico City in 1969. His notoriety allowed him to visit South America, Europe and the US to show his work at various important galleries. 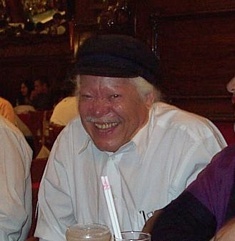 In 1970 he was awarded the First Prize in printmaking at the Tokio Biennal in Japan. Javier Arevalo has also taught at La Esmeralda and the Academia de San Carlos and his works are part of important collections such as the Metropolitan in NYC, and the Museums of Modern Art of Lugano, Israel and Mexico City. In 1990 there was a retrospective exhibition of his work at the Palacio de Bellas Artes, a feat accomplished by few living artists.